Snake Control & Snake Removal Services! Snake Removal is a common service needed in Berrien, Cass, and Van Buren Counties Michigan. This very common service is provided by Wildlife Control experts of Hayman Wildlife Management. Commonly these calls are most commonly received throughout the spring, summer and fall. Snake activities tend to die down in this area in the wintertime. Most people will report that they have seen a copperhead looking snake near their home or business, however, we have found that on most occasions the snake that is in your home will either be a rat snake or one of several garden-variety of snakes that are found in Southwest Michigan areas. 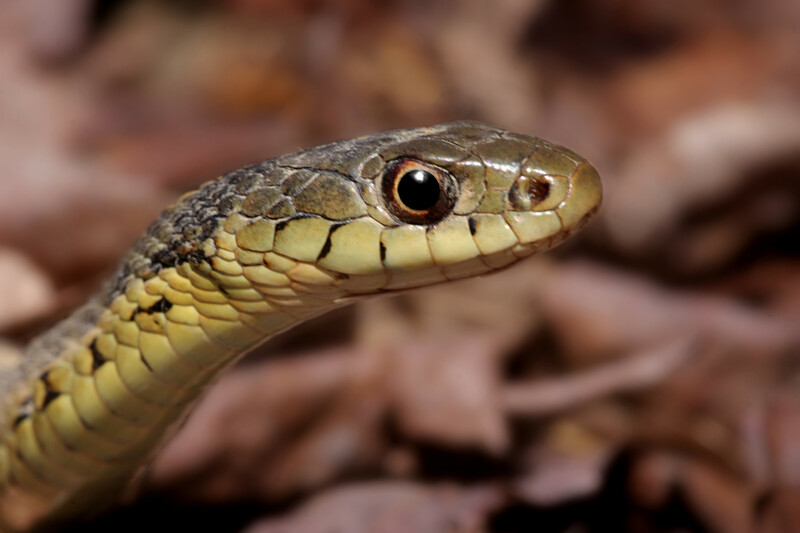 Mistaken identity is common with snakes as venomous snakes can sometimes look identical to non-venomous snakes. Though venomous snakes usually end up being non-venomous, it is always highly recommended to never attempt to catch a snake unless you are properly trained. Copperhead snakes are mostly found in the central and eastern North America and are rarely seen (almost never) in Southwest Michigan. The most common (sometimes referred to as the “only”) venomous snake found in Southwest Michigan is the Eastern Massasauga Rattlesnake. They can be found in both wetlands and in wooded areas throughout the lower peninsula. They are identified by their slightly rectangular dark brown patches set against a light-gray or brown background with a mostly black belly. Adult Massasauga snakes are typically 2-3 feet long with a rattle at the end of its tail to warn predators. You are most likely to encounter a Massasauga during the spring and summer months where they will seek food and shelter to survive during the winter hibernation months. Females will seek shelter to have their young and can have anywhere from 8-20 babies. Young Massasauga snakes are born with a single button on their tails and will grow a new rattle segment after each shedding of skin. Snakes try to stay away from humans as much as possible and do not like to leave their habitat. 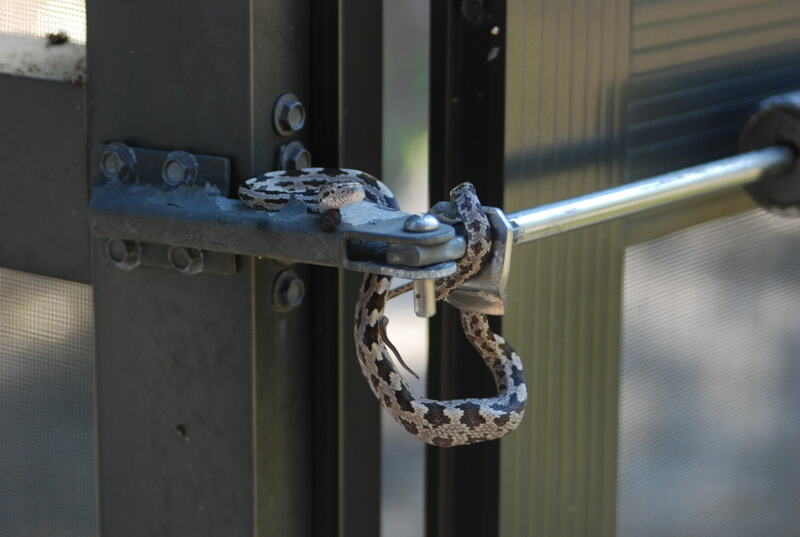 If a snake has made it into your home, it is probably because they are looking for a food source. Once the food source is removed from the house, they snake will usually move on. Never attempt to handle a snake on your own if you are not sure what kind it is. Snakes are very territorial and will not hesitate to strike is they feel threatened. It is always recommended to have a professional wildlife company come and handle the snake. The Wildlife Technicans at Hayman Wildlife Removal are specially trained and equipped to handle all of your wildlife problems. Contact us today at 269-588-0176.